Gospel Komiks TV: Mga Kwento ni Ate G is a 30-minute children’s show centering on values derived from Gospel stories, using storytelling and art as main tools for interpretation. 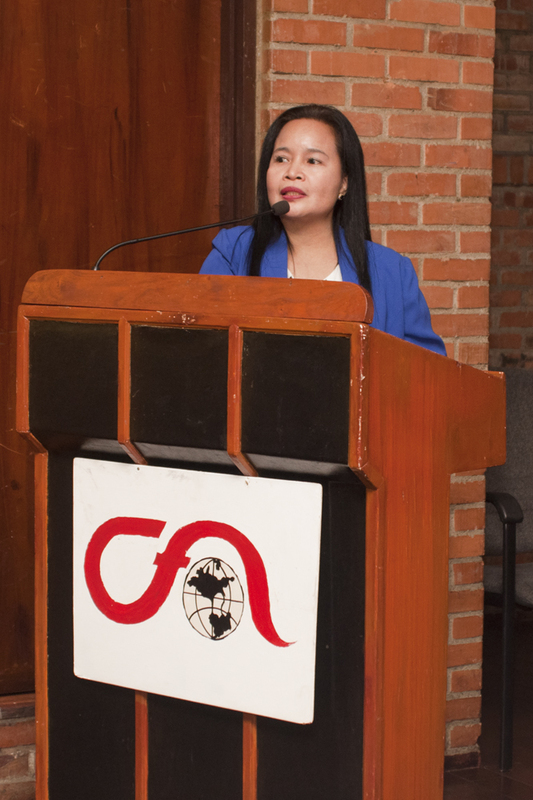 The show stars Ate G (played by Carla Lizardo), who tells stories to children from a ‘GK book’, a book inherited by her family from a travelling missionary. 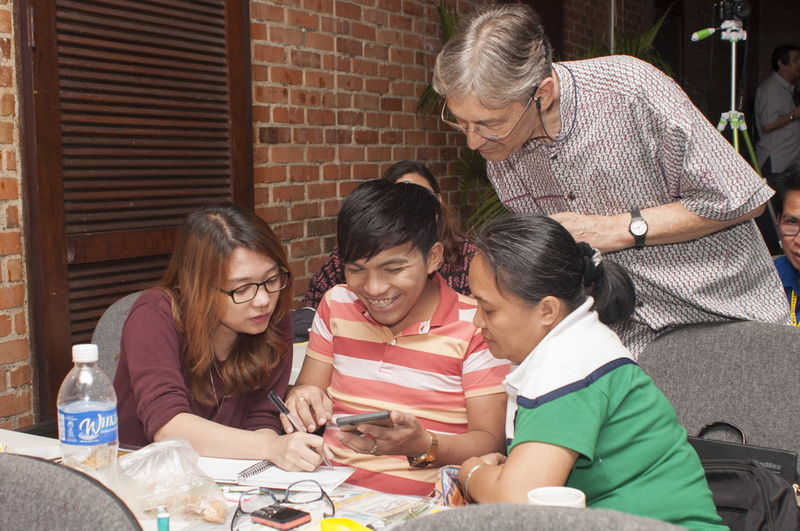 From it, Ate G reads stories that children can learn lessons from. The GK book takes its stories from the Bible. The first season of Mga Kwento ni Ate G will soon air on TV Maria. The exact dates and time of their showing will be posted soon. 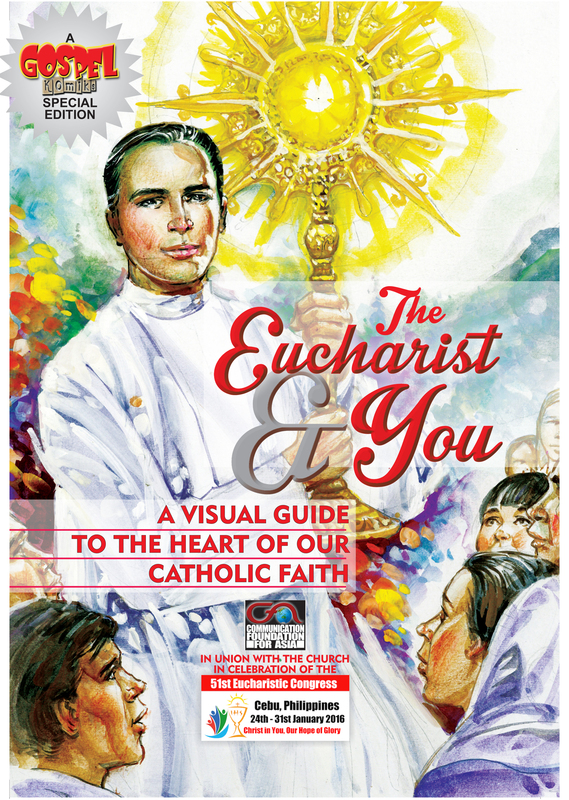 In union with the Church in celebration of the coming 51st International Eucharistic Congress, the Communication Foundation for Asia has published “The Eucharist and You: A Visual Guide to the Heart of Our Catholic Faith.” This Gospel Komiks special edition aims at giving readers a better understanding and appreciation of the Blessed Sacrament. The magazine focuses on the most essential aspects of the Eucharist by explaining the real presence of Christ using miracle stories. It inspires every Christian to make the Eucharist part of his or her life by living for Jesus and expressing love to one’s neighbors. To download a free sampler, visit http://tinyurl.com/pxpdgk6. 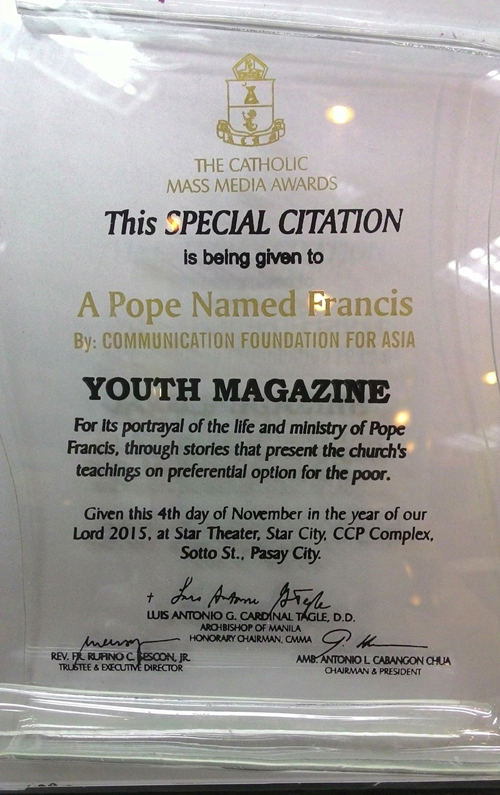 To reserve your copy, contact cfamagazines@gmail.org or call us at 713-2971 or 713-2975. 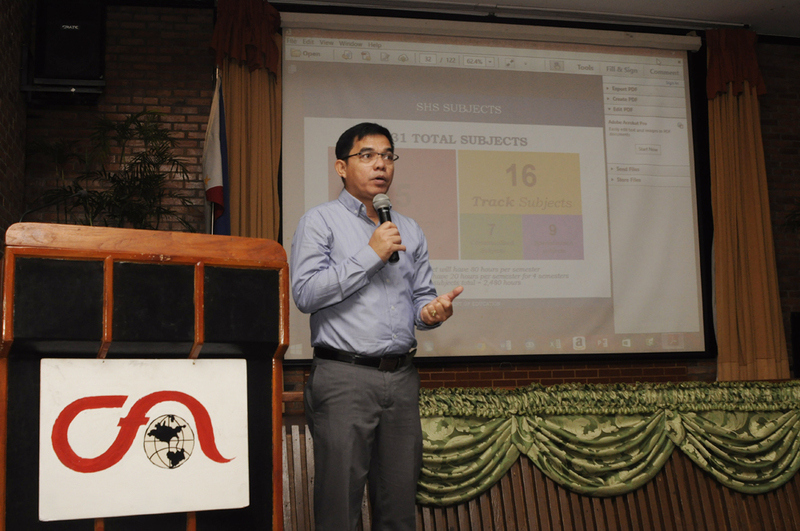 The Communication Foundation for Asia’s “Isang Dipa Langit”, “Kung Kailangan Mo Ako”, “Sa Dibdib ng Langit” and other renowned radio dramas will once again be heard through the digital media of podcasting, which is the new medium of an episodic series of digital radio. 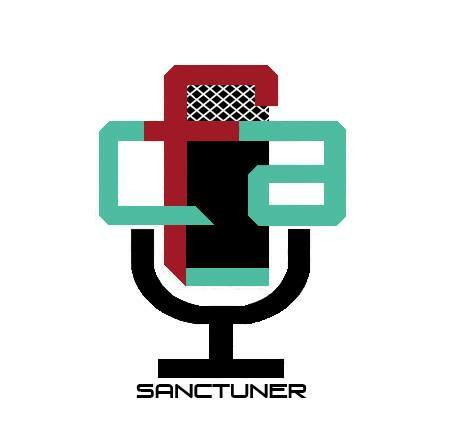 The Podcast will be called ‘CFA Sanctuner’.